ASOS.com Launches the Green Room in Support of Social and Environmental Awareness. The Green Room is an online marketplace which brings together and highlights brands that promote people and the planet. The Green Room will be housed in its own section on the ASOS website. It will include a line-up of fashion and beauty brands, ASOS.com own-label collections and a series of ASOS.com collaborations with artisans and small producer groups. 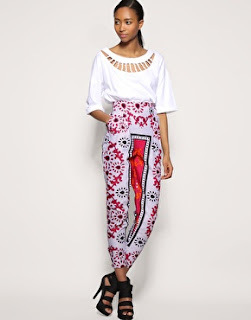 The first of ASOS.com’s own-label collaborations for The Green Room will be ASOS Africa. ASOS Africa features a gorgeous kanga printed collection made by small community groups and artisans in Kenya and organic cotton jersey from Tanzania. 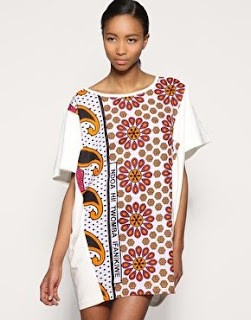 ASOS Africa will offer contemporary silhouettes such as jumpsuits, playsuits, blazers and cropped trousers all re-worked using African kangas – the vivid printed cottons traditionally worn throughout Eastern Africa – as well as handmade leather accessories.